The frigid waters of Lake Michigan during a Midwestern winter may not seem very inviting to us, but some species spend a great deal of time there. “On Nov. 2, 2010, Mueller documented 25,555 long-tailed ducks in Lake Michigan. And on Jan. 20, 2011, 9,311 red-breasted mergansers were tallied. 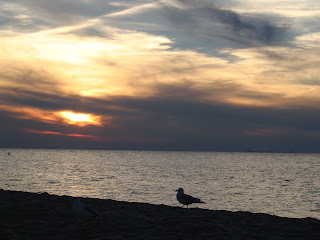 The data comes from the Lake Michigan Offshore Waterfowl and Waterbird Survey, a project initiated in 2009 by Mueller and Noel Cutright, both of the Western Great Lakes Bird and Bat Observatory in Belgium. Read more at the link above, including details about how the data they collect can help not only understand the presence and habitats of animals, but can guide safer development of energy production on the Great Lakes too.